Watch your favorite team here. 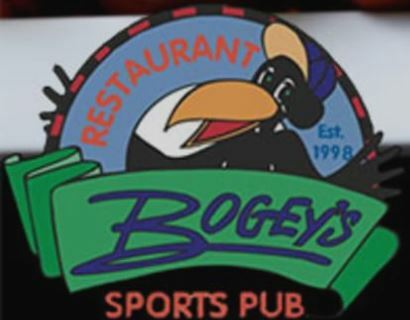 Bogey’s offers: NFL Sunday Ticket, NHL Center Ice, MLB Extra Innings, MLS, ESPN Gameplan, ESPN Full Court, NBA League Pass and more! Ice cold Bogey’s beer goes great with our pizza, wings or burgers. If beer is not your favorite, try our stress reliever or other speciality drinks. Daily specials offer something for everyone!